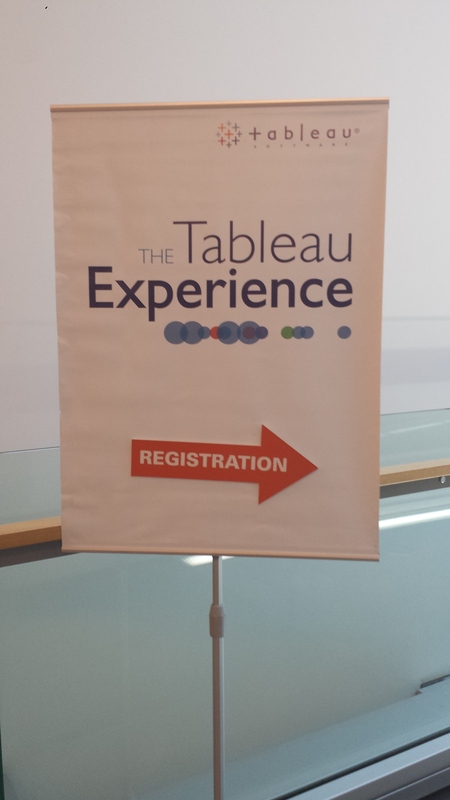 Thought I’d post a small review of the Tableau 8.1 Experience event, which I attended this afternoon at the brand new London HQ of Tableau. Here’s the programme for the event. First up a nice bit of networking in the event foyer where I caught up with Paul Chapman (@cheeky_chappie) and Matt Francis (@Matt_Francis). Disappointing lack of free Tableau pens though. Then into the plush (but overly warm) auditorium for the presentations. First up was Tony from Tableau who provided a short general overview of Tableau the application and the company and how they had come to exist. He called it the Tableau Revolution and given the proliferation of the application that might not be too strong a term. Tony alluded to the fact that typically there had previously been too much reliance on BI teams and that forming analytical insight was too difficult a task for most business users. A bold statement was that Tableau were 10 – 100x faster than other companies to get from A to B in terms of the analysis process. Not sure how that was quantified, maybe I should have probed. We also saw Tony highlight the positioning of Tableau in the Gartner magic quadrant. Then it was over to Kurt from Tableau for a product demo. I was a little disappointed that there weren’t more 8.1 features highlighted here but I can imagine that any non-Tableau users in the audience were more than impressed as he went from data to chart to dashboard to server fairly seamlessly. Then it was over to Matt Francis of the Wellcome Trust Sangar Institute. Matt works for in the DNA Pipeline Group and has made Tableau integral to their operations. Matt has a quick-fire, dynamic presentation style. Reminded me of a younger Hans Rosling and showed some cool examples of how he’s used Tableau to visualise DNA sequencer data as well as views of data from the cancer genome project. I expected that kind of view but I didn’t expect it when Matt showed how they use Tableau to manage the lab information, in terms of monitoring the health of some of the heavy hardware in the laboratory like the DNA sequencing machines. He correlated the quality data with room temperature information to show that one of the problem machines was near an open door, thus affecting the results. Excellent stuff. Tableau really comes into its own when data correlation is performed. He also showed Tableau views that are used to measure the availability of the sequencer machines. This helps his organisation plan resources for cleaning the machines and ensuring they are ready for the next run. Matt ended by touching on the ethics of DNA profiling. He highlighted the example of Angelina Jolie who discovered she had the BRCA1 Breast Cancer Susceptibility Gene and took actions accordingly. Interesting stuff. Then a bit of a Q & A session before the invaluable networking in the bar. Had a good chat with Tom Brown (@_tombrown_) of The Information Lab about a number of subjects. 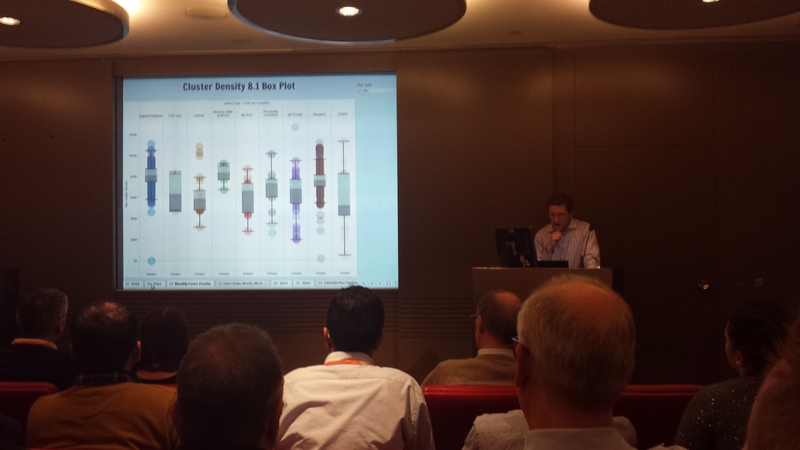 Another useful session at Tableau HQ. Looking forward to the next one. This entry was posted in Events and tagged analytics, bi, data, discussion, events, tableau, visualisation by paulbanoub. Bookmark the permalink.